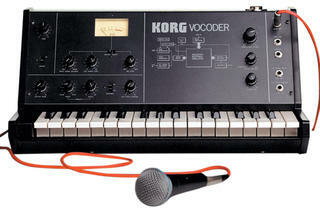 The best (and worst) vocoder tracks of all time. How To Wreck a Nice Beach: The Vocoder From World War II To Hip-Hop (Stop Smiling Books, $35) is our favorite music book in some time. Mostly because the tome can hardly be classified as just a music book. Tangential, erudite and silly—as if David Foster Wallace, James Burke and the Beastie Boys collabo’ed on a history textbook—local imprint Stop Smiling’s inaugural publication simply fascinates in its tracing of robotic voice effects from a secret coding device invented by Bell Labs in 1928 (a “walk-in closet of cryptology”) to T-Pain. 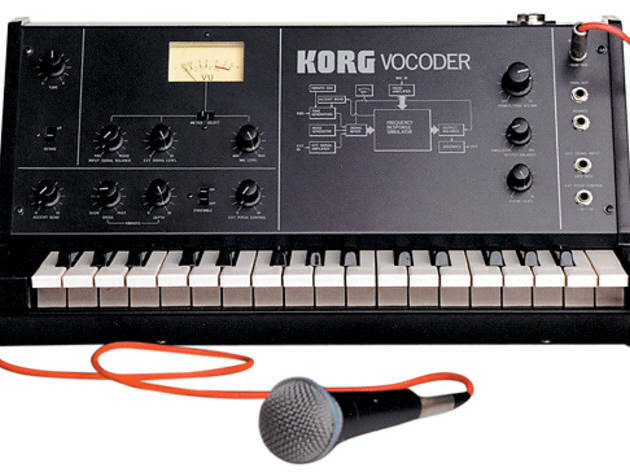 So we asked the author, Dave Tompkins, to whip up an exclusive list of his favorite vocoder songs of all time (as well as the worst). Sorry, Cher, Auto-Tune doesn’t count. With all barnacle-gargling respect to “Barnacle Bill,” this may be the first vocoder song. The singer is Charles Vadersen, a wavy-haired engineer who cut several vocoder demos for Bell Labs when showing off the machine with Homer Dudley at venues like Harvard and the Franklin Institute. Dudley wanted his talking organ to admonish the congregation. (The audience reportedly “dug at their ears to be sure they weren’t playing them false.”) After joining the Signal Corps in WWII, Vadersen ended up stationed at a vocoder terminal in Brisbane, Australia. Alan Parsons Project (1976) The Alan Parsons Project deployed the “Poecoder” in its 1976 album Tales of Mystery and Imagination, letting it inhabit the wormy throat of “The Raven.” Poe himself once wrote about a fraudulent chess-playing robot in The Southern Literary Messenger. The robot could say, “Check.” Called the Turk, it was invented by Wolfgang Von Kempelen, whose mechanical-speech research inspired vocoder inventor Homer Dudley to recognize the artificial real. Baumann ruins “Mister Blue Sky’s” day with this gray winter road trip. One of my favorites. “This day will fade away,” while bare trees keep flipping by. Having peaced out of Tangerine Dream, Baumann is pictured on the cover standing by a lake in a nice scarf. The album—Trans Harmonic Nights—may be “dedicated to romance” but is really feeling the distance. Four years ago, I was under the delusional impression that my book was finished. So I celebrated by watching a documentary on slime molds and listened to “In The Air Tonight” an unprintable amount of times (a whit of vocoder haunts the line “do you remember”). I nearly fell for that involved myth in which Collins had been inspired by a childhood memory of witnessing a father turn his back on his drowning son. Anywiz, the vocoder lurks throughout “I’m Not Moving,” a faint shadow that benefits from Phil’s light (erm, invisible?) touch. This spectral half minute may be the closest the Beatles ever got to a vocoder, save the robot version of “Mean Mr. Mustard” that appeared in the film Sgt Pepper’s Lonely Hearts Club Band in 1978, which starred Peter Frampton (without his signature talk box tube). A Cylon voice orders Mustard to “Bring the saxophone to me,” which has dreadful implications. “Don’t Stop The Rock” recently appeared with some dancing eyebrows in an ad for Cadbury chocolate. I am grateful to this song for coining freakathon. Freestyle often performed in motocross suits, doing No Hander Can Cans in outer space. Its producer, Pretty Tony Butler, wore a pilot’s hat similar to that of Rocky the Squirrel. I love Miami. A literary agent not remotely interested in vocoder books once told me a story about being trapped in a motel room in Myrtle Beach, South Carolina, while on acid, watching the video for [silly ’80s hip-hop trio] Whistle’s “Just Buggin.” Vibert’s acid house ode is no League for Spiritual Discovery flashback (thankfully) and provides a rare, nasty vocoder sighting in 2003. For the worst track, I considered Boney M’s “Inna-Gadda-Da-Vida” or a vocoder version of “Maniac” that I once saw on eBay but forgot to note the artist, perhaps in an effort to save myself from myself. Then a friend said he spotted Too Short at a horse track rocking a Spud Webb jersey. Yes. Too Short had vocoder songs. I figured the vocoder was too corny for a wannabe pimp, but I like the whole you-can-dance-to-this-just-don’t-make-me-look-bad vibe. How To Wreck a Nice Beach is out now from Stop Smiling Books and Melville House Publishing.